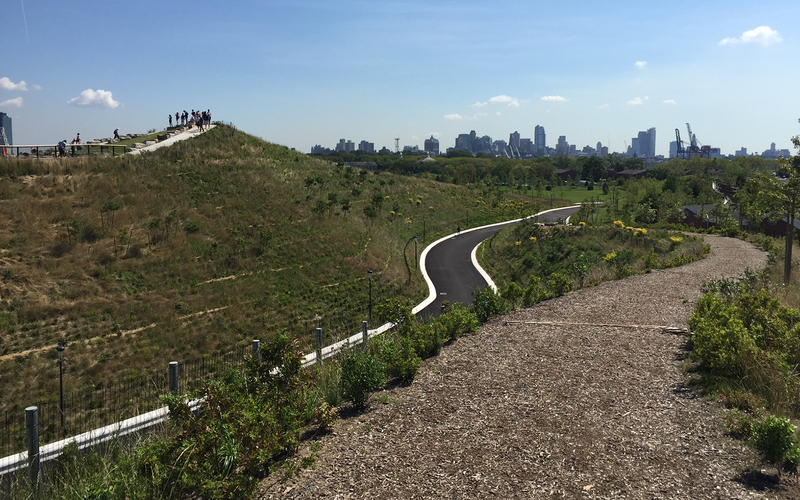 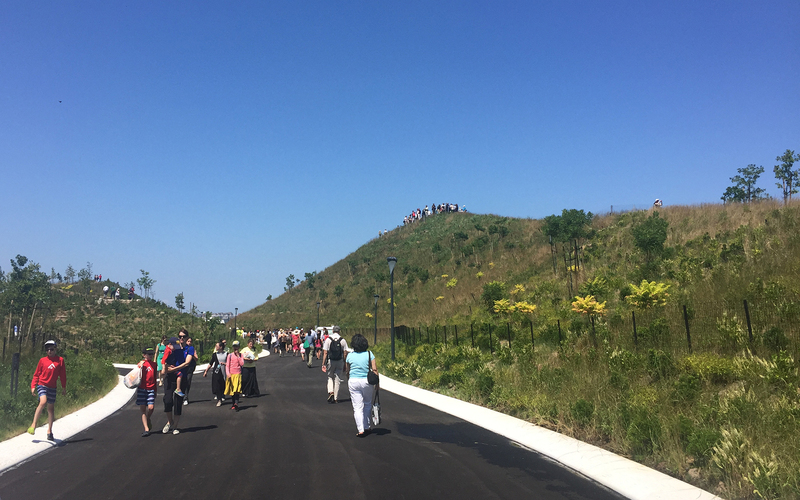 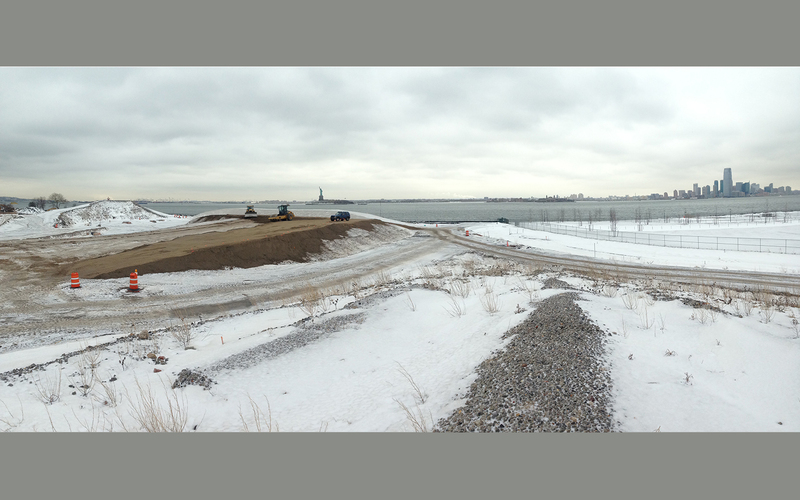 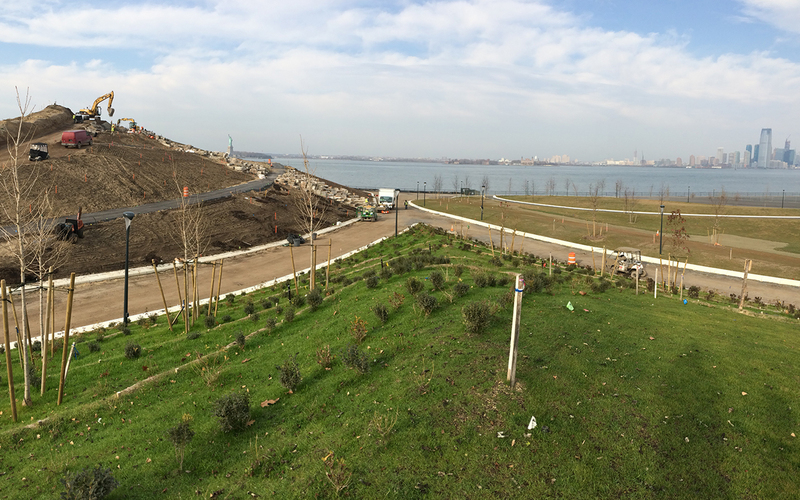 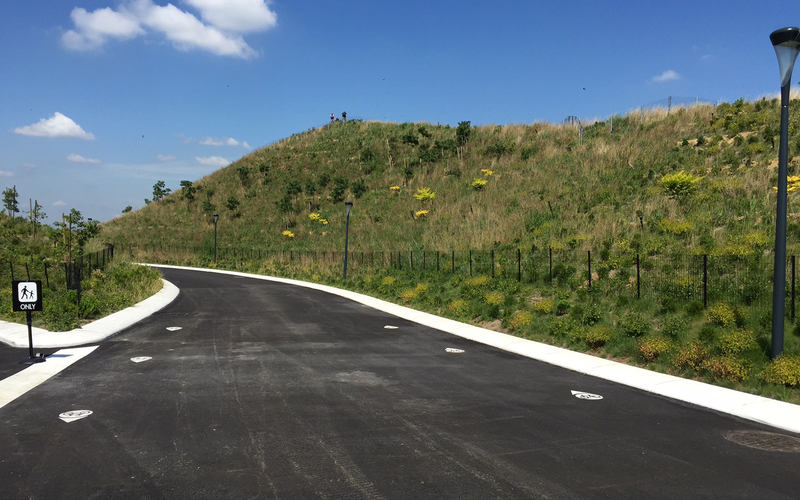 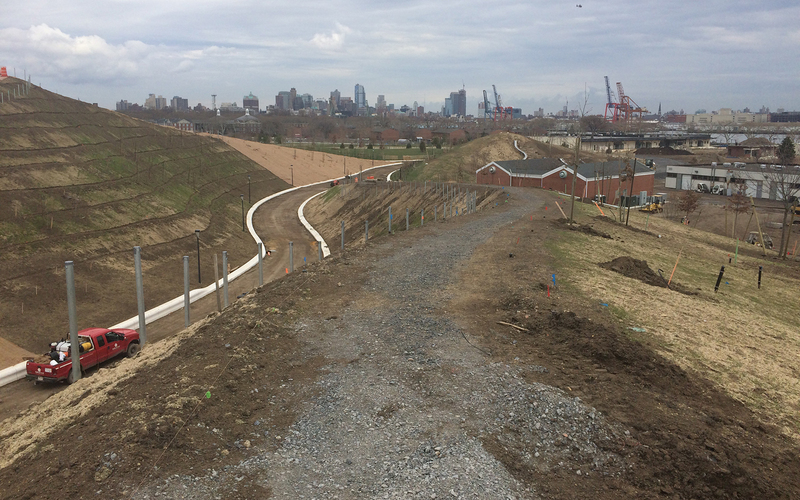 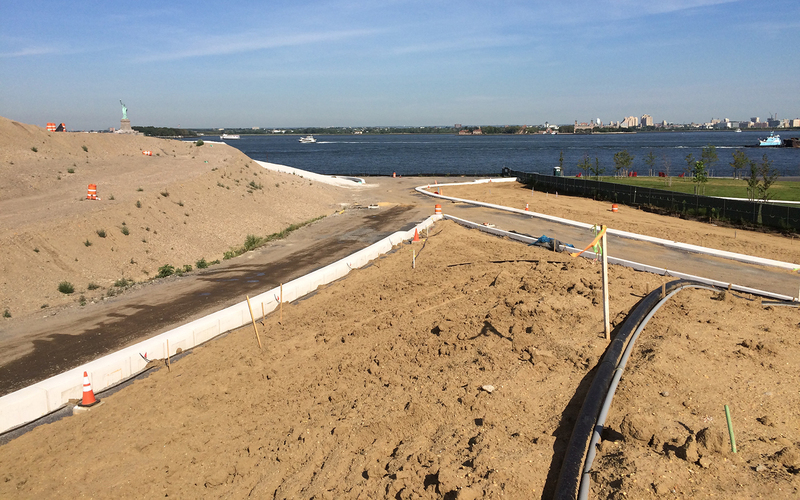 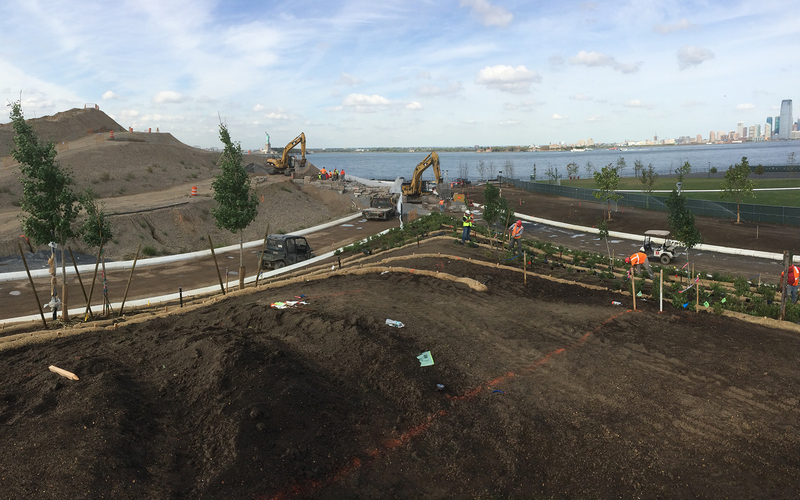 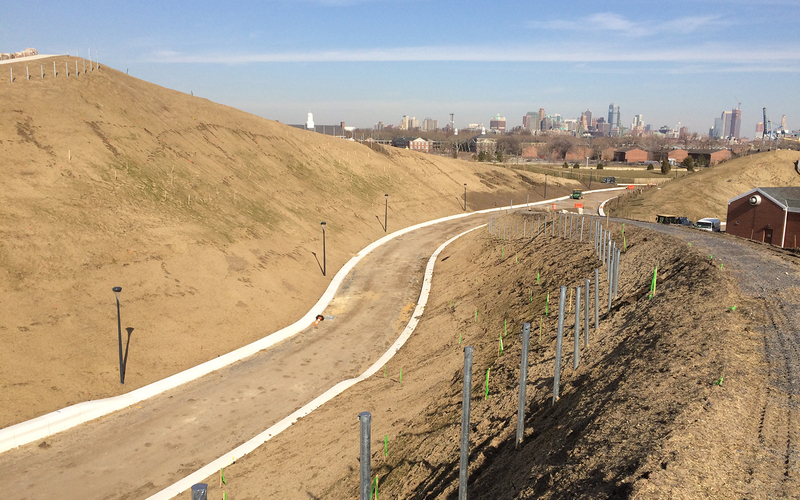 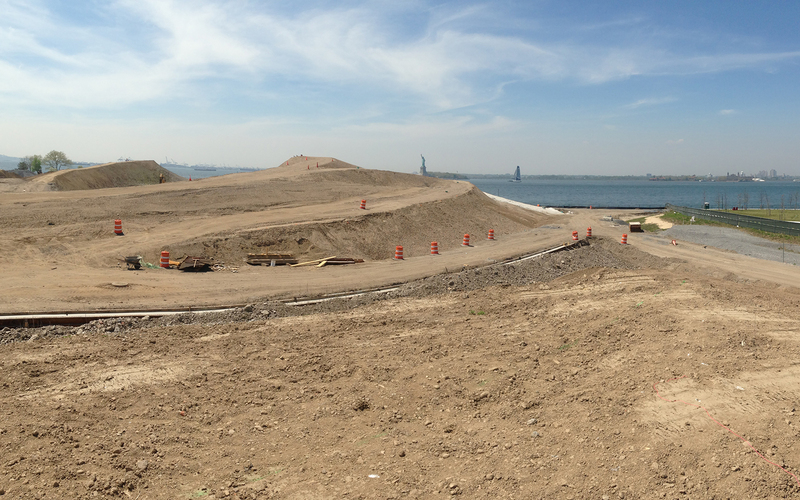 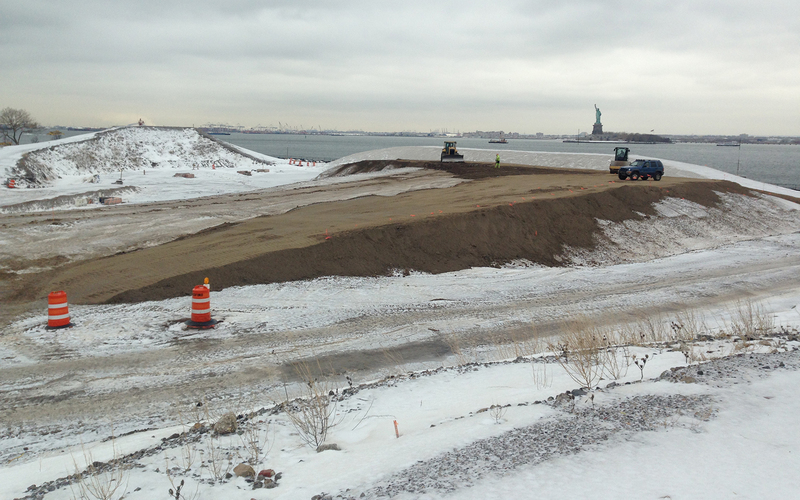 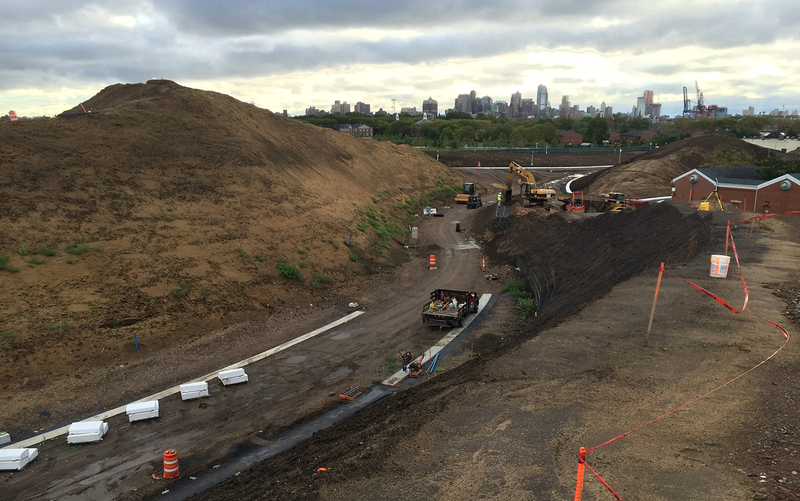 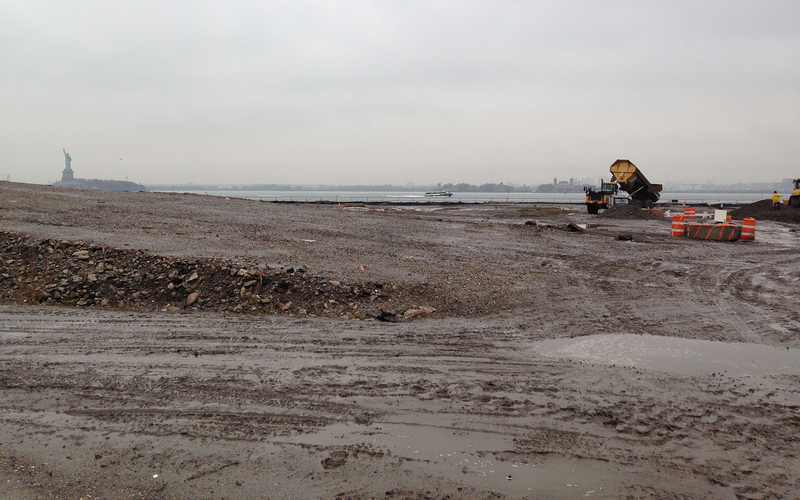 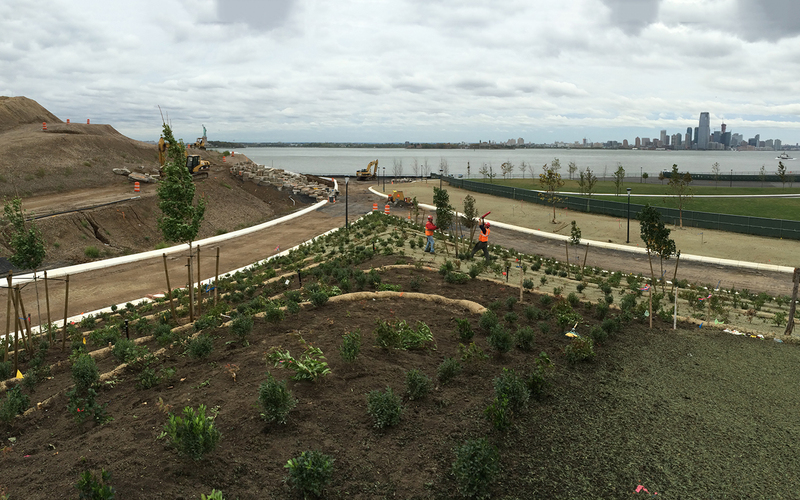 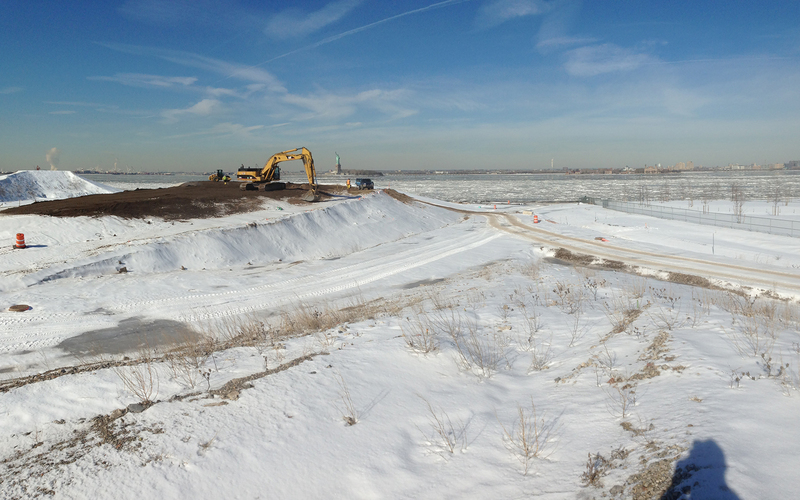 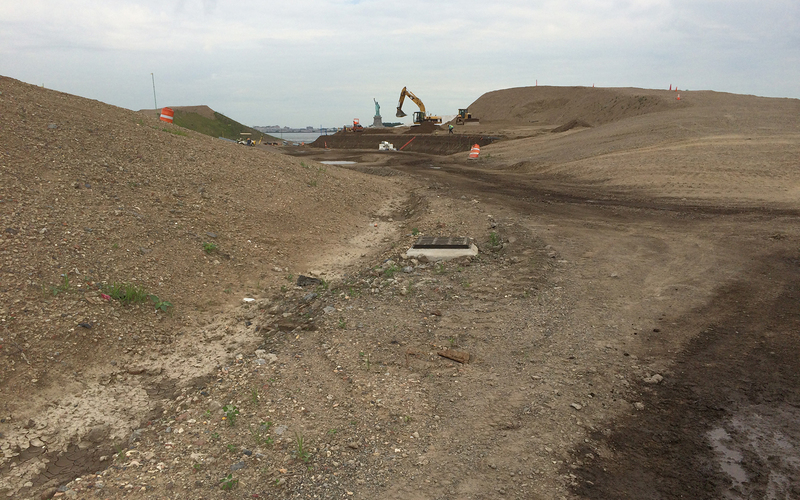 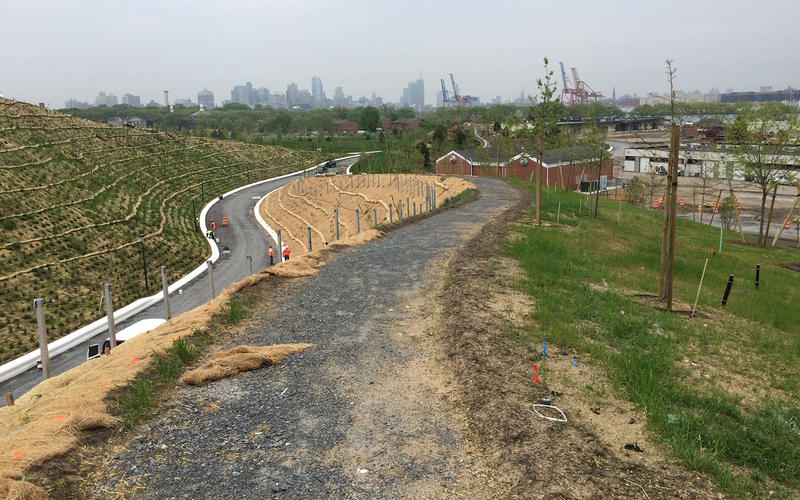 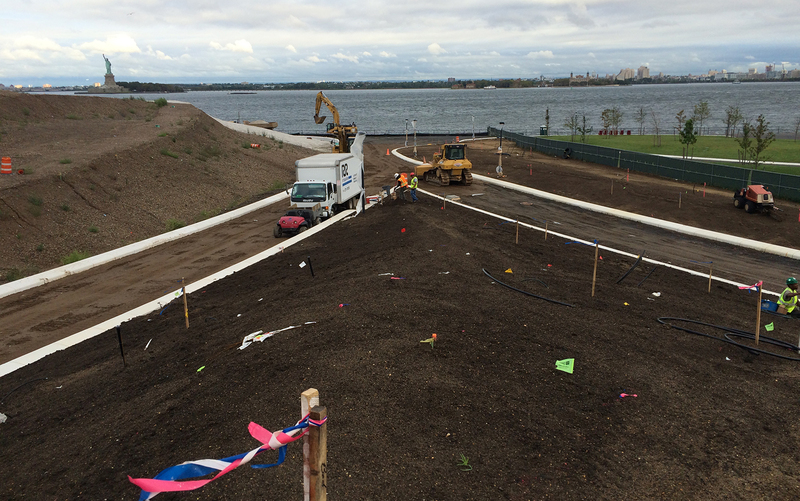 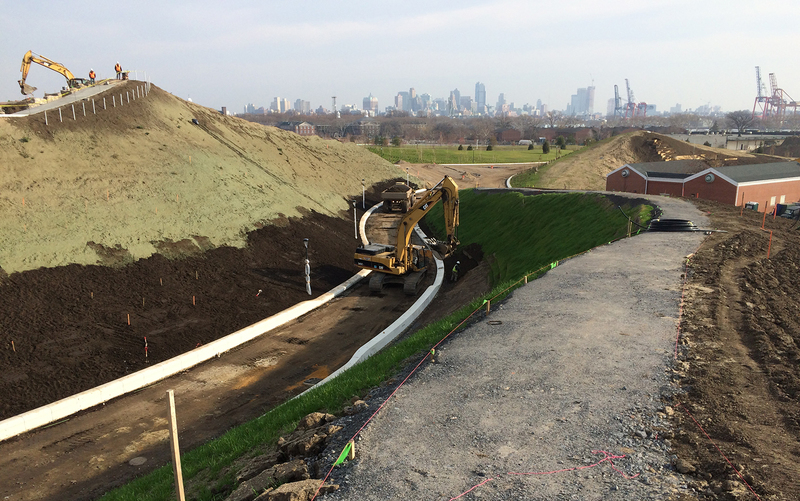 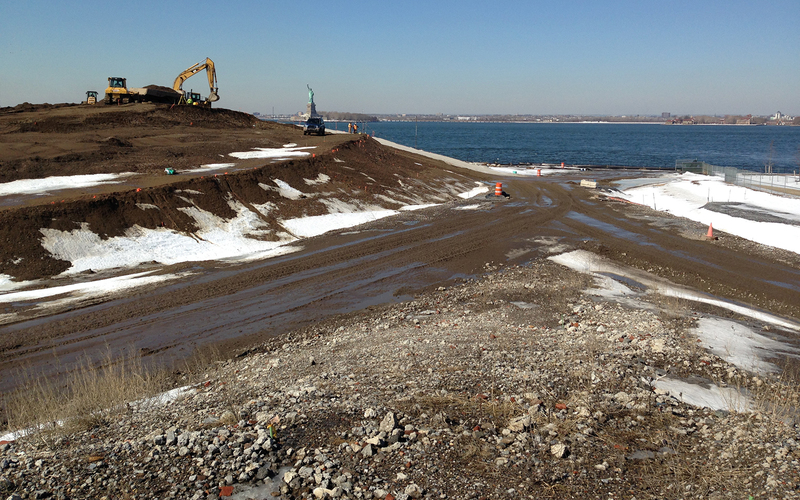 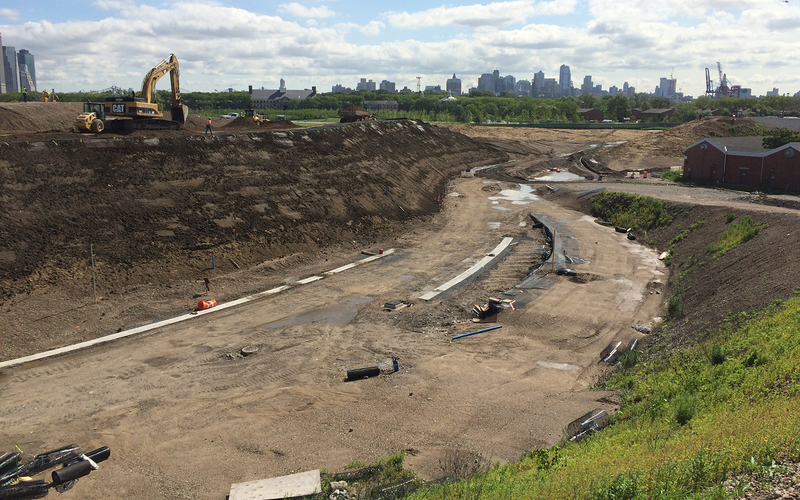 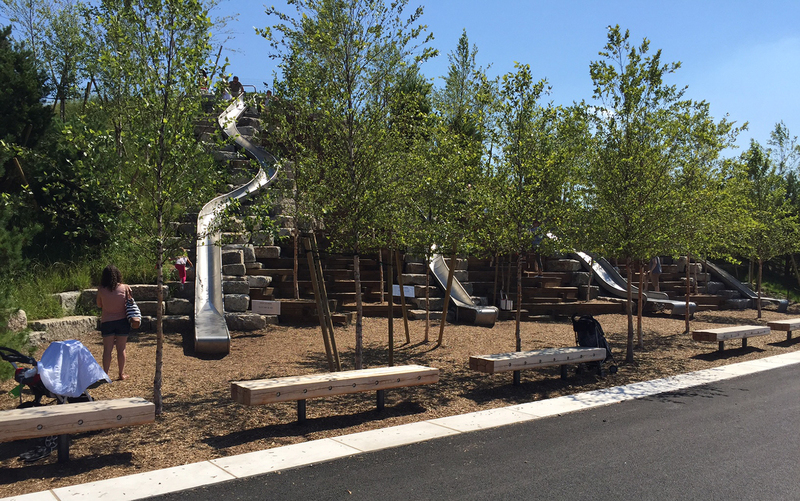 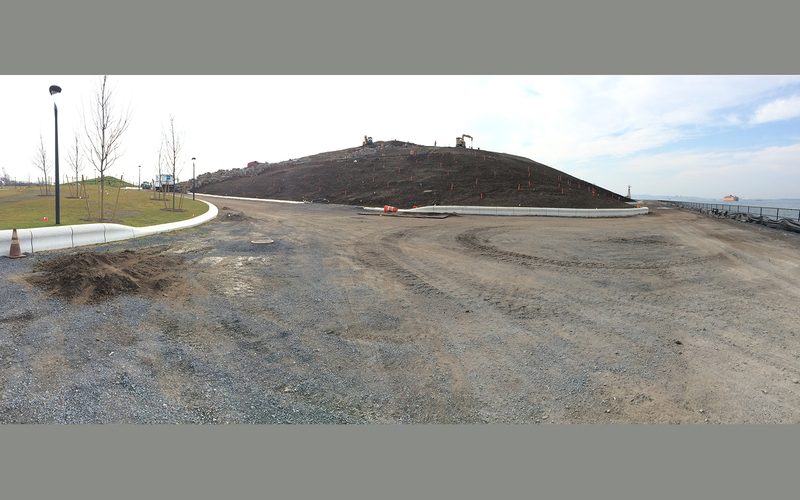 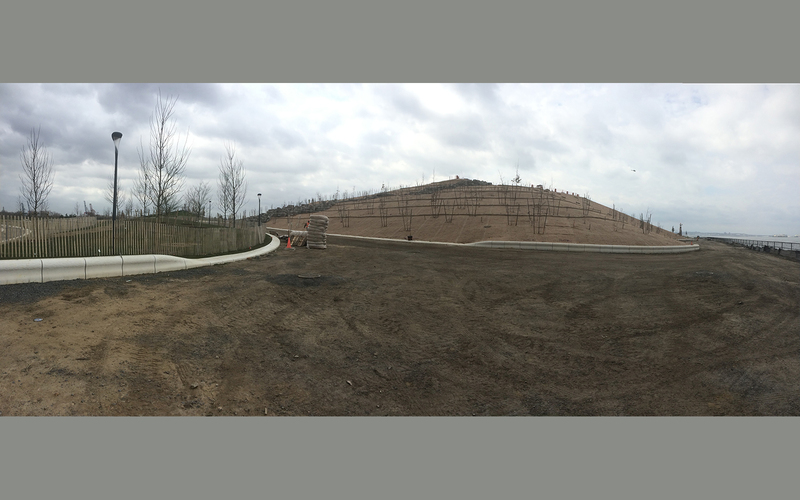 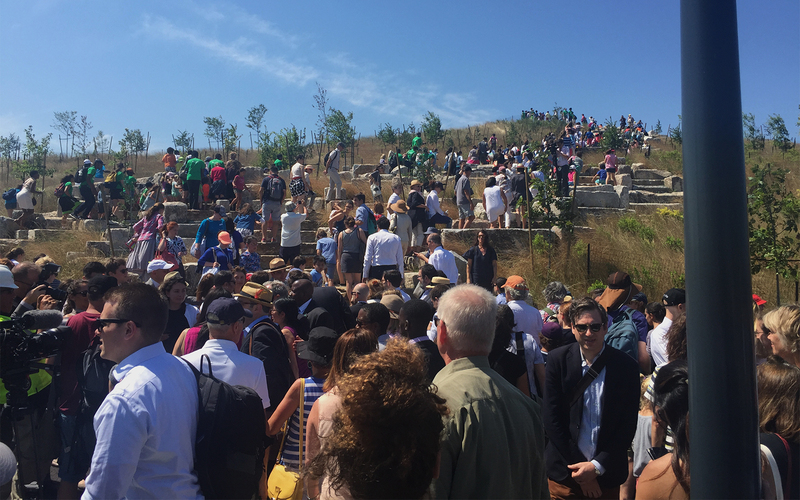 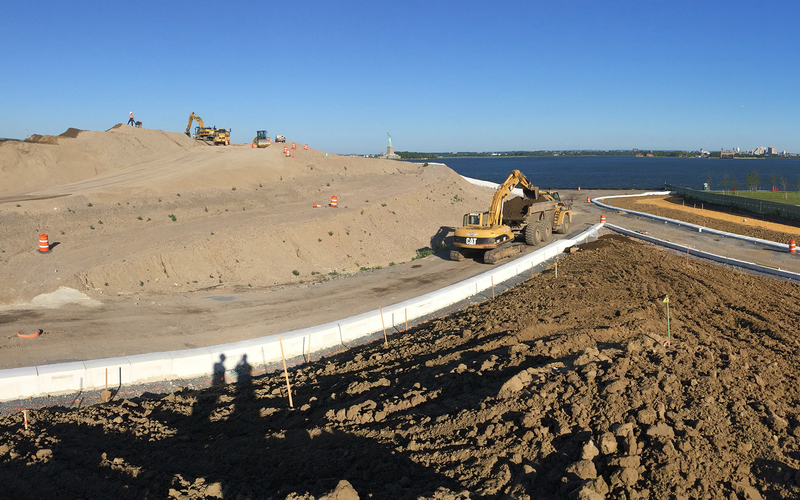 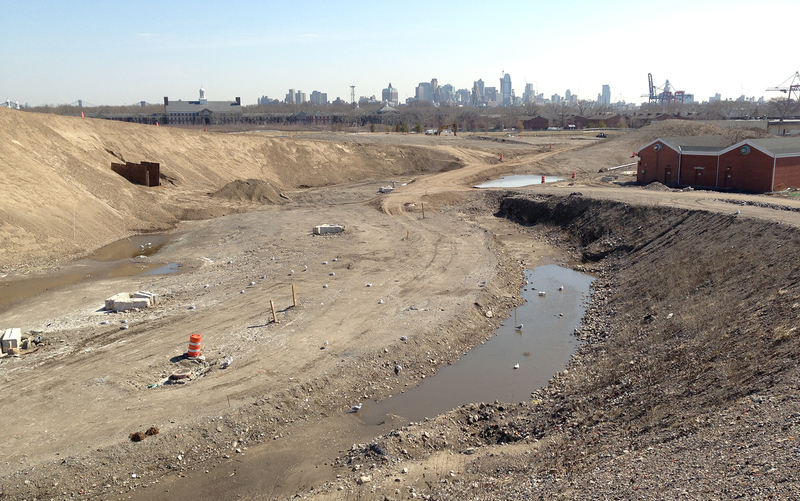 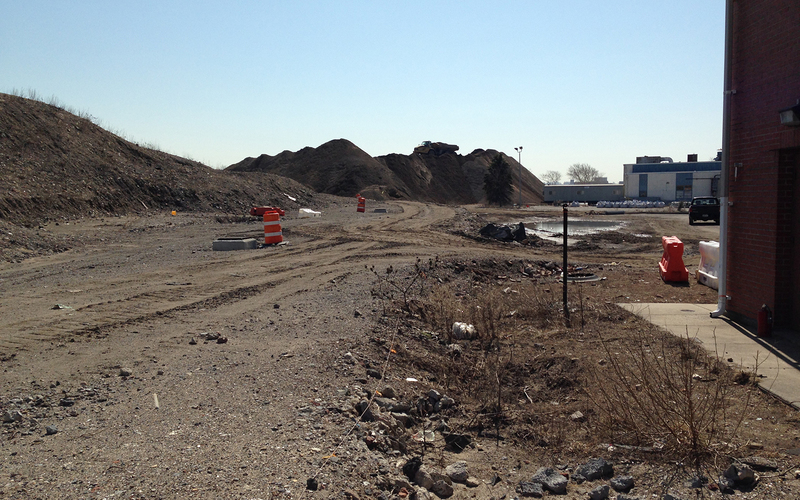 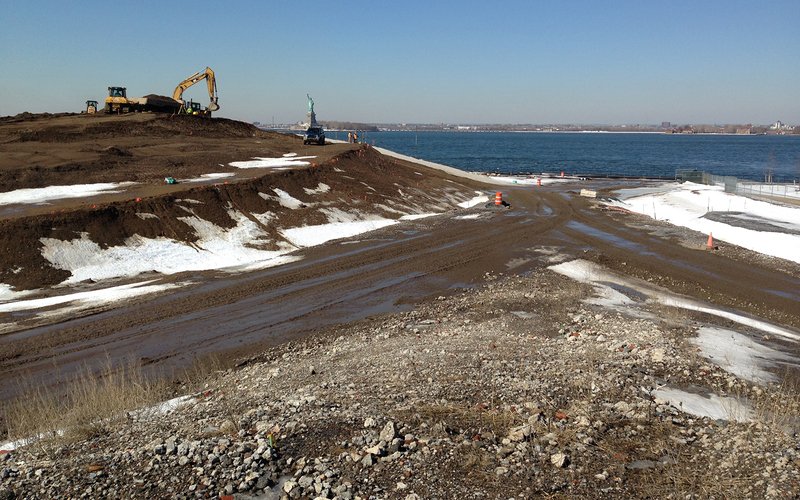 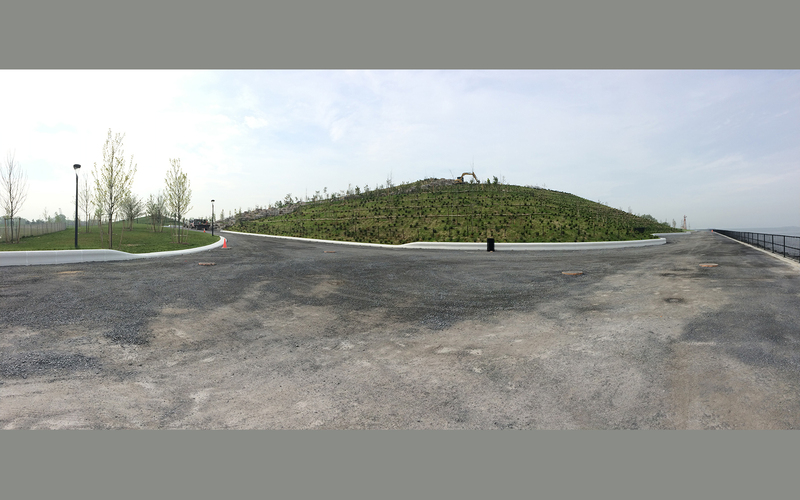 As part of Governors Island Park New York’s newest world class park, 4 Hills emerge at the southern tip to varying heights up 70 feet.  The highest hill – Outlook- provides a commanding view of the harbor and Miss Liberty, New Jersey, Brooklyn and Manhattan.  Other hills, Slide, Discovery and Grassy each provide their own interests. 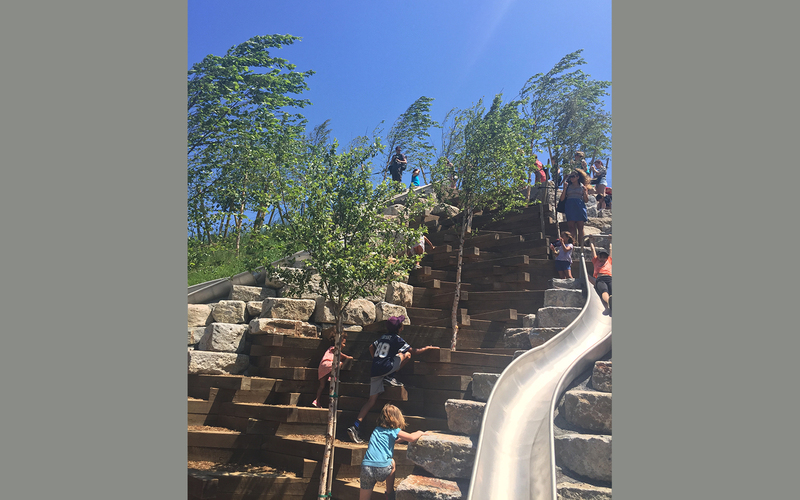 Slide provides 4 enticing slides of varying complexity reached by scrambling up between trees and timbers.  Discovery is the second highest hill and takes you up a meandering path to a vertigo edge as you overlook the harbor. 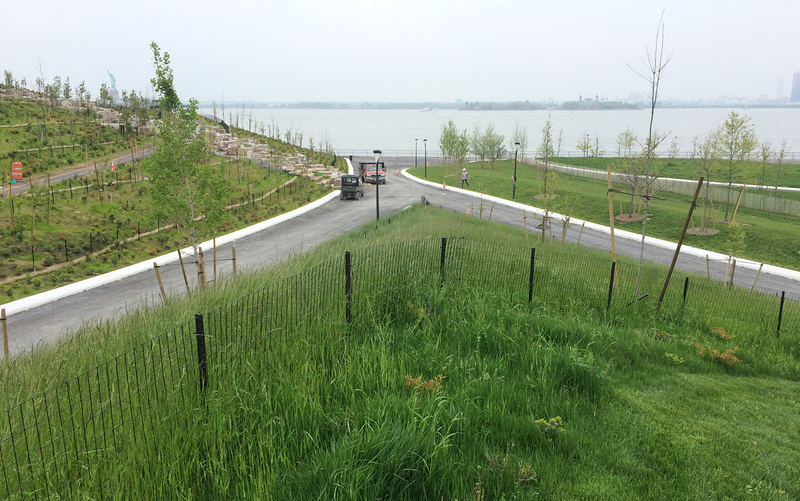 And Grassy, is a rolling knoll fit for lounging and resting. 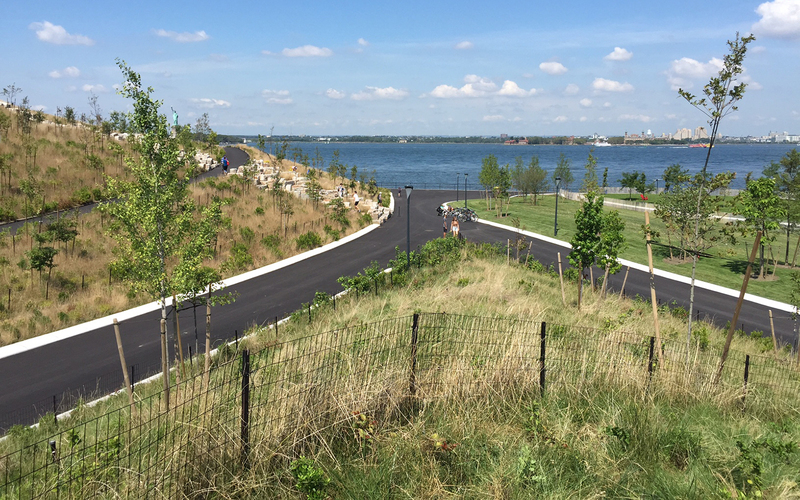 SiteWorks worked closely with the design team providing constructability reviews during design and resident landscape architecture services throughout construction. 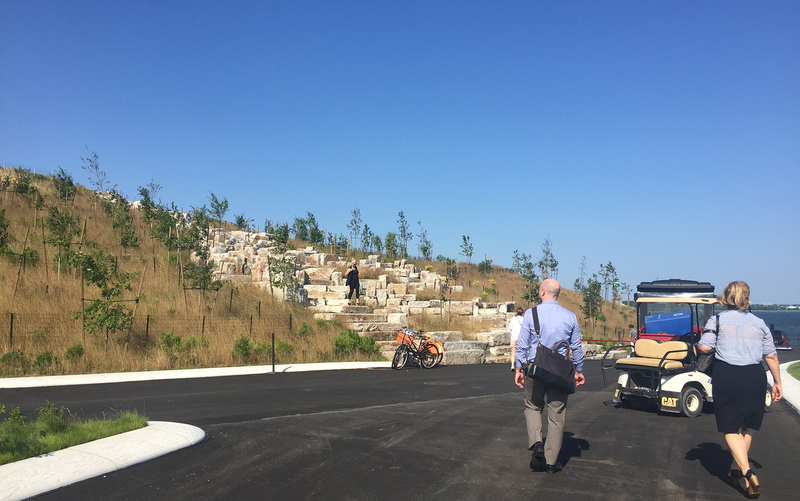 Working closely with the design team and contractors enabled the constructed hills to rise above sea level through technically innovative methods. 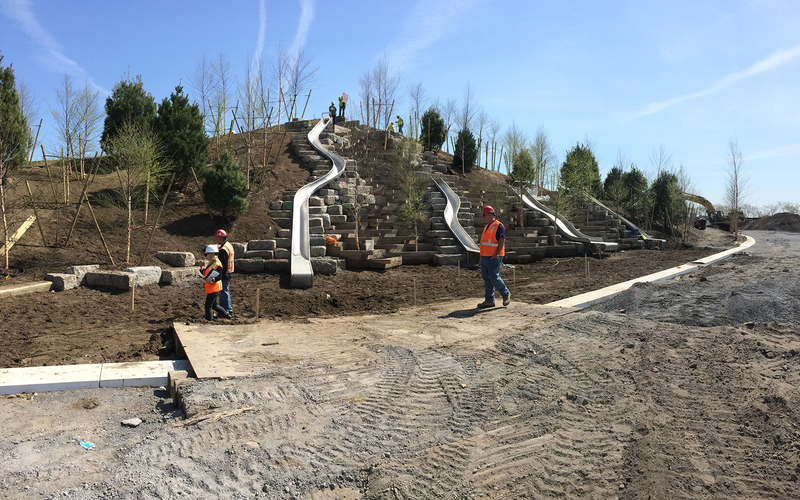 As the hills rose steeply to achieve the design height the challenge of placement stabilization and planting on steep slopes. 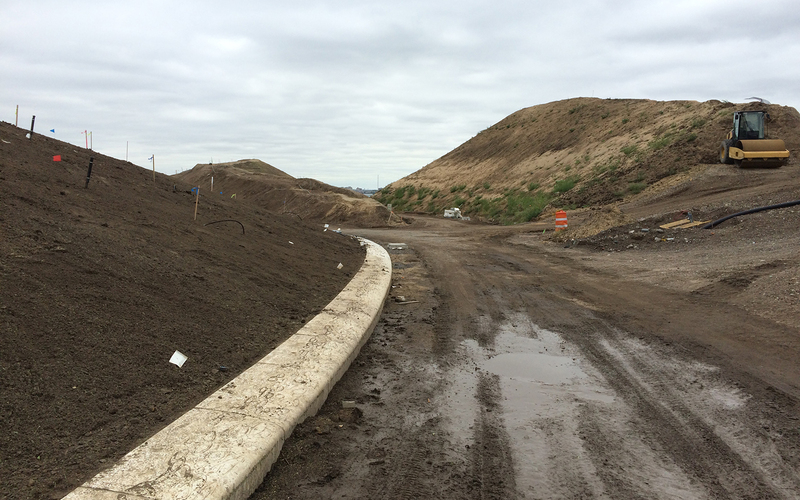 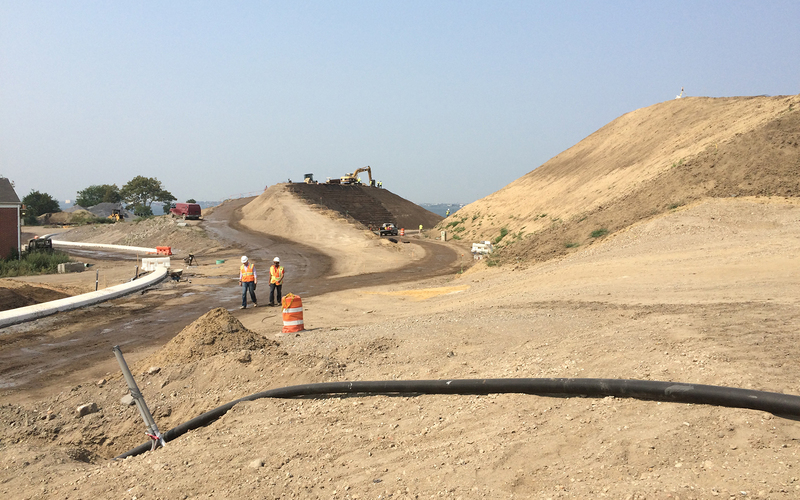 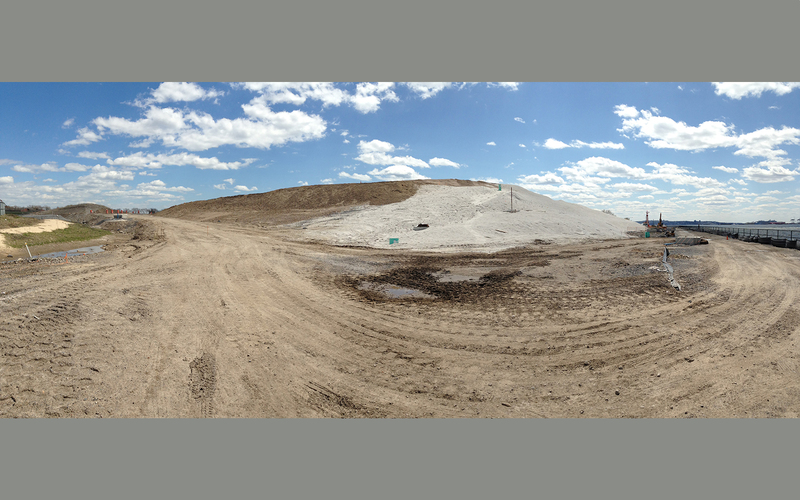 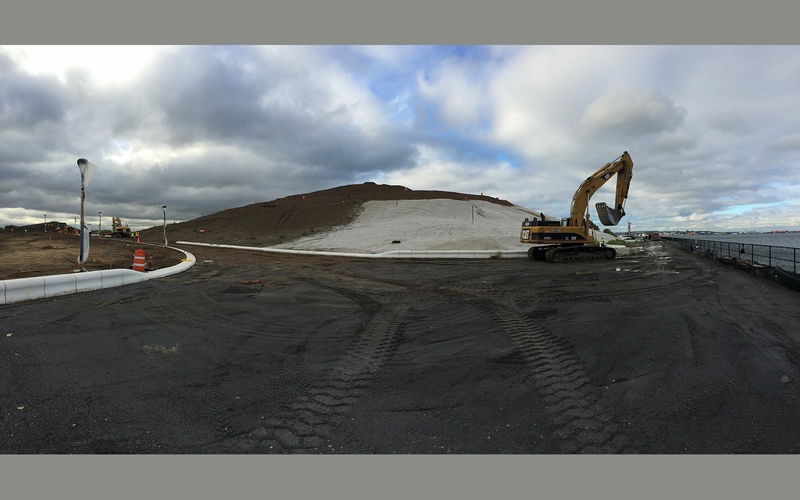 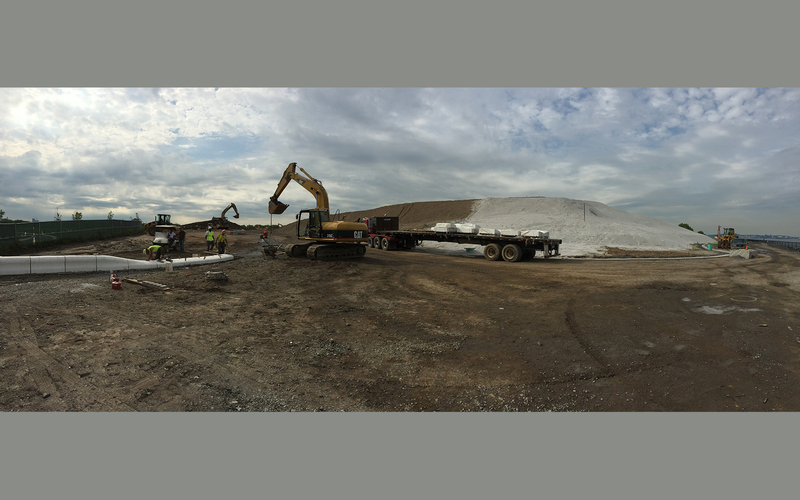 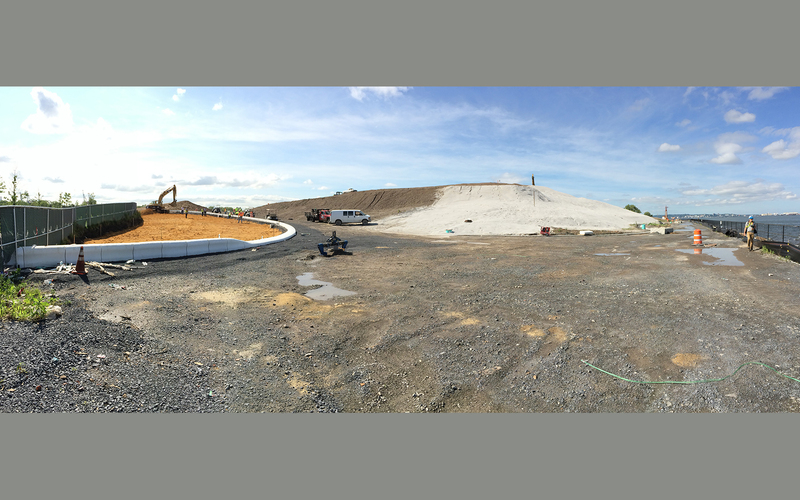 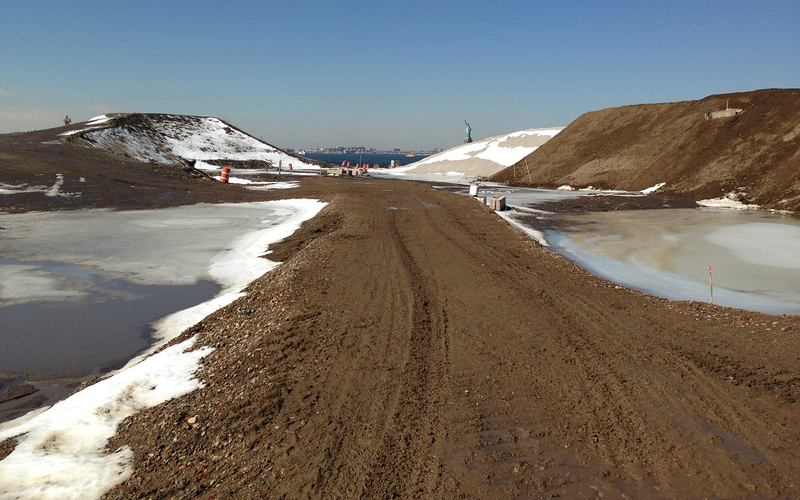 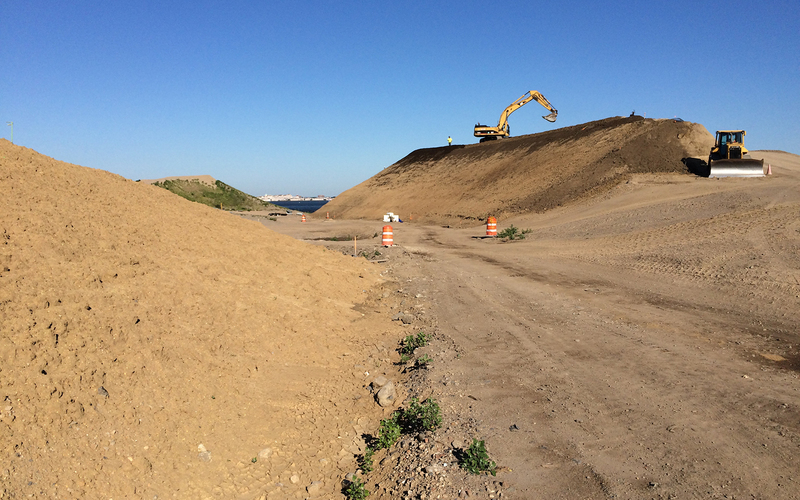 Our extensive knowledge of blended soils and installation of soils was critical as we worked closely with the contractor brainstorming for the most effective and efficient method to plant the slopes. 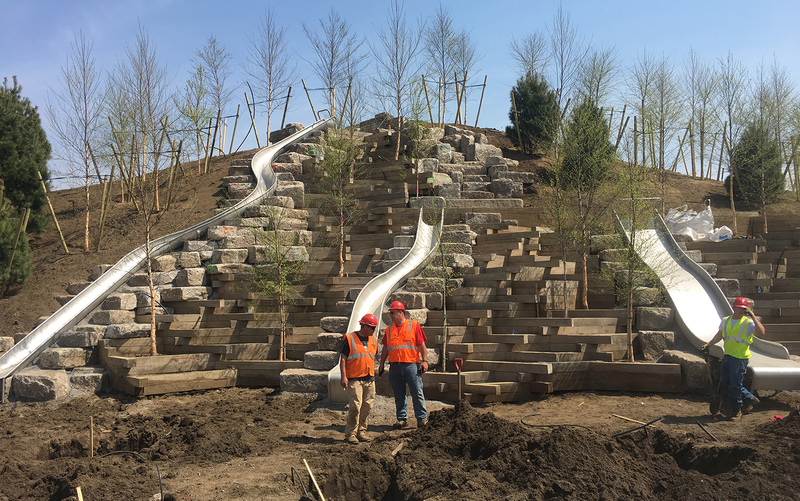 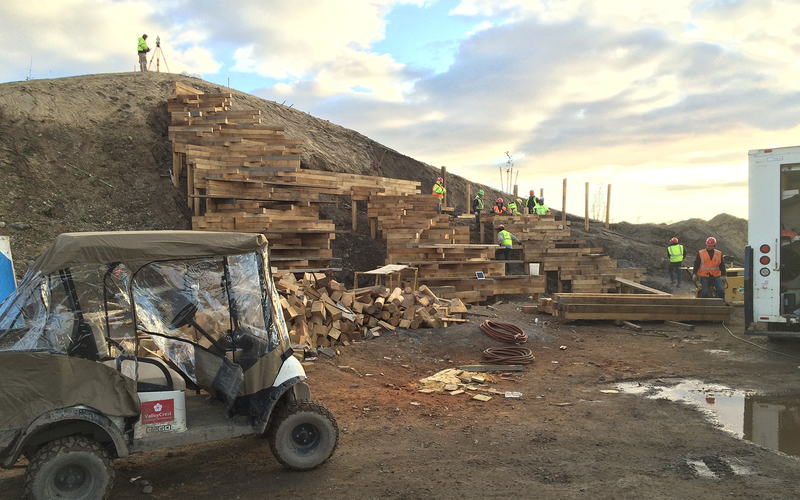 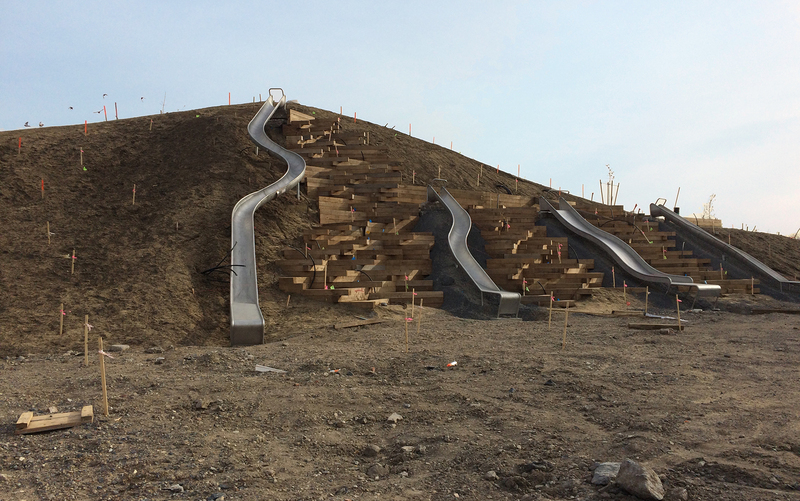  Our design talents and communication skills were expressed in working directly with the contractor to create the stone scramble ascending Outlook’s north facing slope. 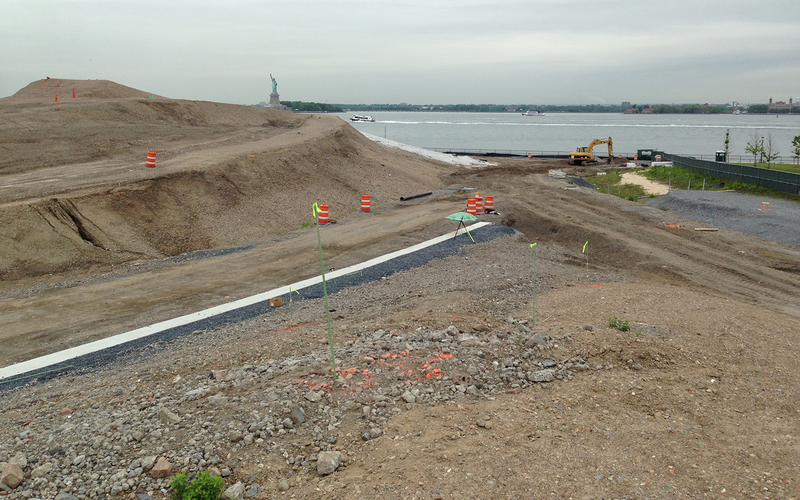 The stone is reclaimed from the 1905 sea wall from the restoration of the sea wall. 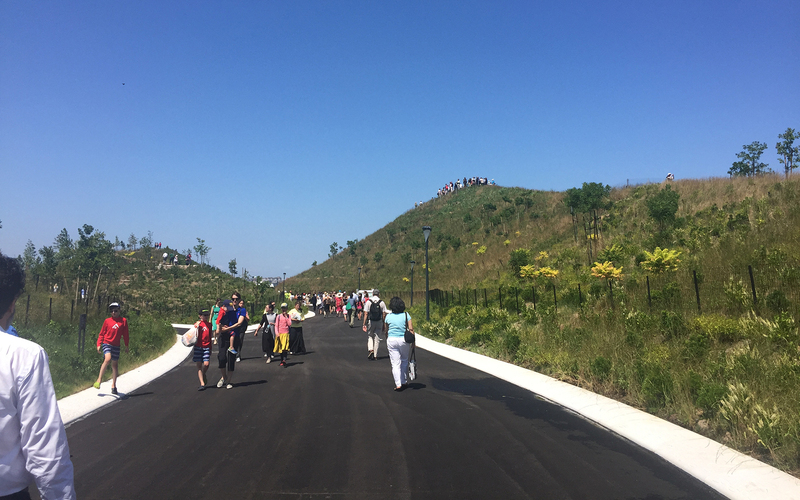 To date the peak season visitors is 644,698 with the total year estimated at 1.1 M.